I've had a few projects on my Pinterest - DIY to Try board that I've been wanting to try, but was lacking the motivation to do it. Last week Young House Love, Bower Power, Joey and Lana, and Emily Henderson announced the Pinterest Challenge on August 2nd and that's all I needed to get motivated. This is one of the projects that I fell in love with. I'm loving the yellow and the stripes. 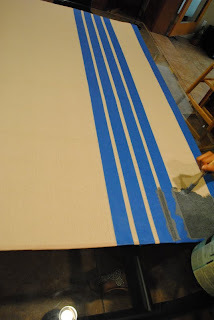 We taped up varying stripes. We used the piles of the rugs to determine our lines. This made it so much easier than having to measure. We used some leftover paint from her house in a bluish grey color and we painted away. During our couple of hours painting. She painted this for me. Cute, right? 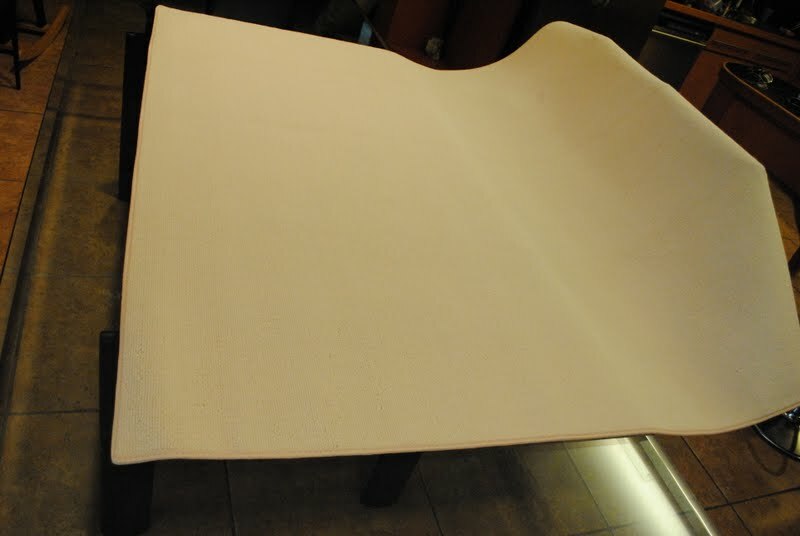 It's sitting on my parents dining room table drying. Finally, my sister got their attention and sent them to another room. You could see a bit of the texture of the paint. We didn't have this issue with the zebra rug. 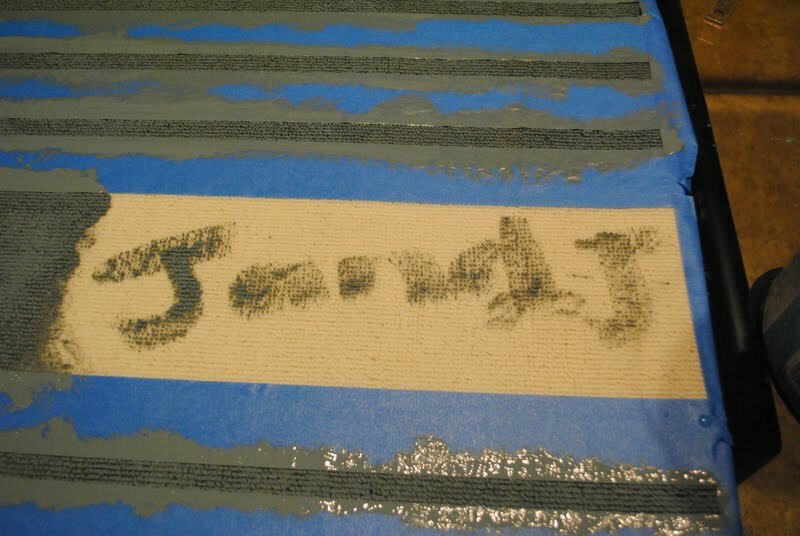 We are thinking it was the actual rug fibers/materials. Even with that, it just looks like a natural part of the rug and it came out awesome. My sister loves it! 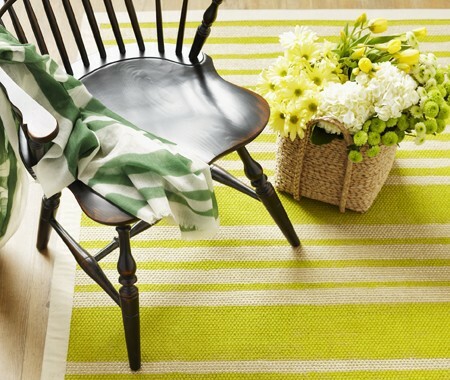 i love striped rugs! they just have high impact and classic style- great job! This is so pretty! Every time I see these I can't believe how great they turn out! That is such a pretty rug. Oh, I love blaming stuff on my siblings!! Gets me out of trouble every time! Great job on the rug! I'm definitely wanting to try this now! I want a rug just like that one! What kind ofd paint did you use? Awesome job! I love it. Just the right amount of color! I have been on the hunt for a yellow rug to put in the kitchen. After seeing this, I just may have to paint it myself! 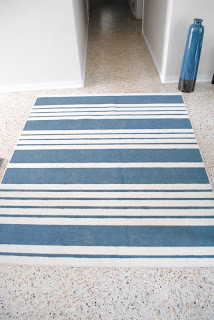 Wow I totally love this idea and I just checked out your sisters zebra rug you did, AWESOME. I so want to try this.....What kind of rug did you use to paint on? Thanks so much for sharing. i just love this. you can pick your own colors and really do so much! great tutorial. it looks fantastic, i love it! This looks great! I had a painted rug pinned too. Yours turned out wonderfully! I am a big fan of the "decorate cheap but look rich" concept. This is a great one! 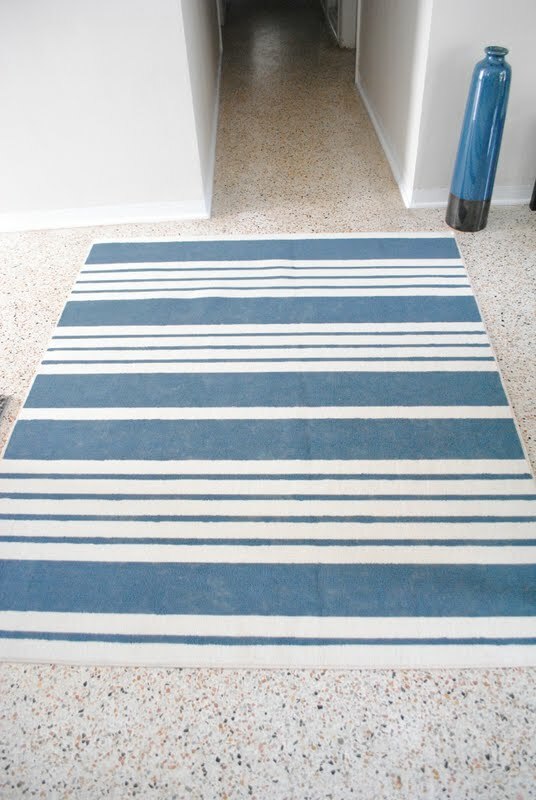 All those designers order rugs in the perfect colorway for the room and we can never seem to achieve the same cohesive look....here is the answer! great job! I love the rug! I've pinning this! Fantastic. And I don't mean that in the generic " Oh yay. Let's celebrate each other for every single little thing we do " way. In a " Seriously, you done good " way. 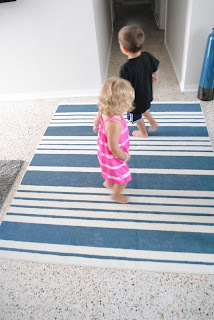 What a fun idea for a very pretty rug! Shoot, did you get grounded? I'd blame my sister, too. :) I love these stripes, I'm dying to try this! I pinned this project so now I can join the challenge as well. Ha! I'd love for you to share this on my link party today! www.alittleknickknack.com Have a great weekend! Well, that's fair. It's her rug! It looks so good! I really want to try this now that I see how great it can turn out. Super duper awesome is all I can say! You two are really getting good at these rugs. This one is so fresh and fun! Yeah, I am wondering too, did you get on restriction? 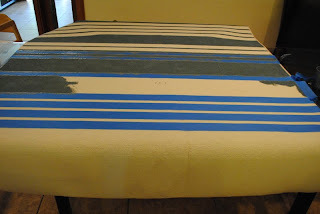 I am really going to have to try this painted rug idea! Too too cute. 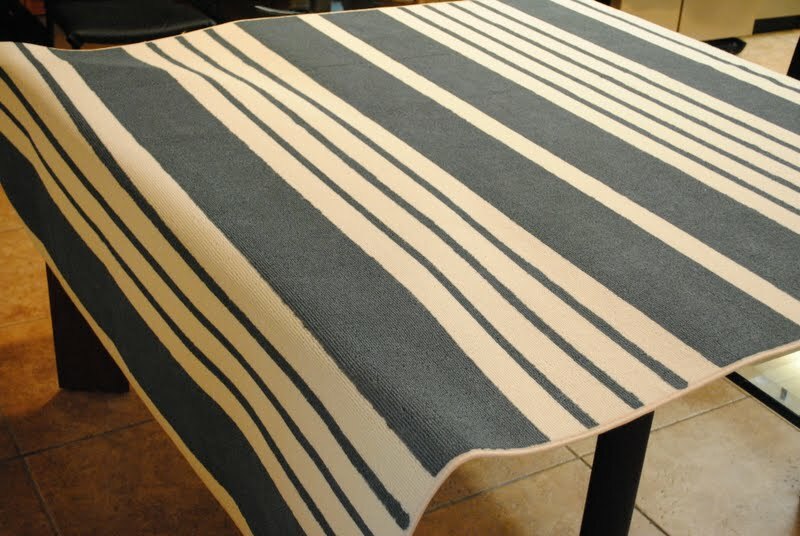 I loved the zebra rug but I love the crispness of this one even more! I love the color and the stripes! I bet she does love it! What a great idea! Love the stripes and colour! Love the painted rug! I've been wanting to try this too for awhile. The painted rug looks so good, adds a lot of character. And fun to do also! By the way, I am hosting my very first giveaway--a new blog design! Check it out! That looks so good. You are so talented! We would love for you to share this at our link party and come enter our free digital scrapbooking software giveaway! This looks fantastic! Terrific job! 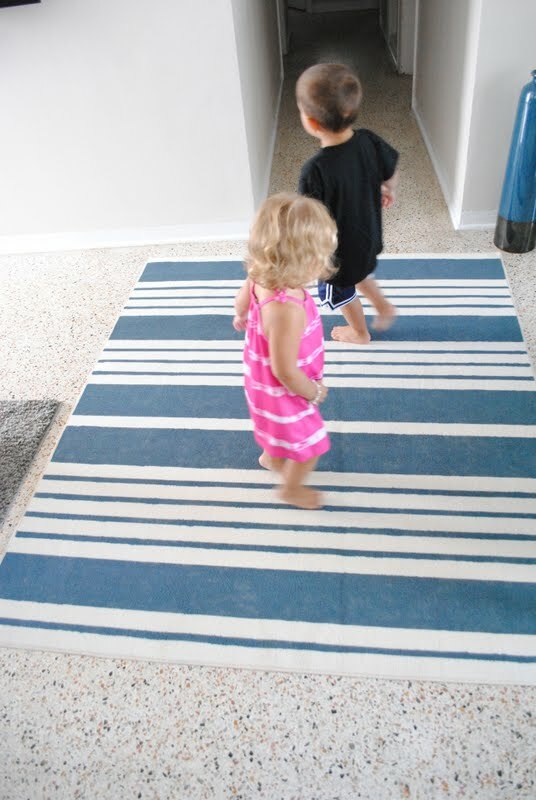 Very, very creative - liking the idea of the zebra stripe! Both are so cute babies. I like these all rugs.